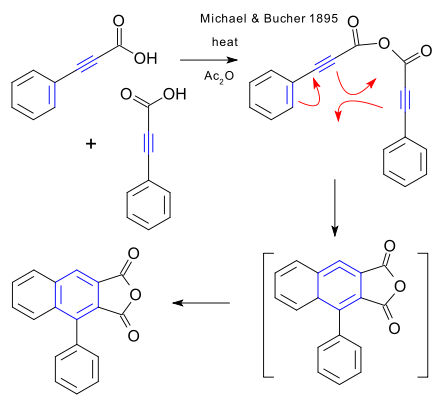 The Michael reaction is the reaction of carbon nucleophiles in nucleophilic conjugate addition. 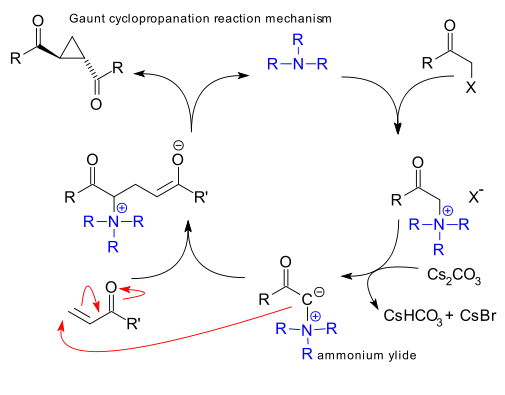 In hetero-Michael additions the nucleophile is an amine, thiol, phosphine or in the specific case of a oxa-Michael addition an alcohol (Review DOI). A base is required and the reaction product is a beta-alkoxy carbonyl. 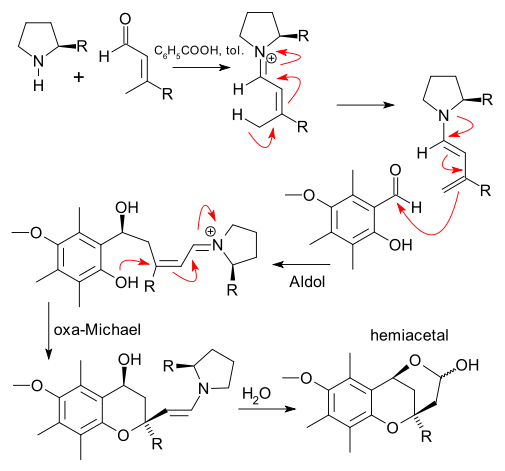 Note that the same carbon framework can also be obtained in an Aldol addition between two carbonyl units. 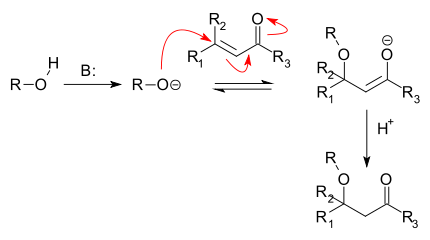 This reaction type was first reported in 1878 by Loydl (converting fumaric acid to malic acid) (DOI) actually preceding the Michael reaction. Disadvantages are availability of the Aldol reaction, low reactivity, lack of stereoselectivity and reversibility. The employment of trapping agents in domino reactions and the use of novel bases for instance phosphatranes ( DOI) have mediated some of the drawbacks.